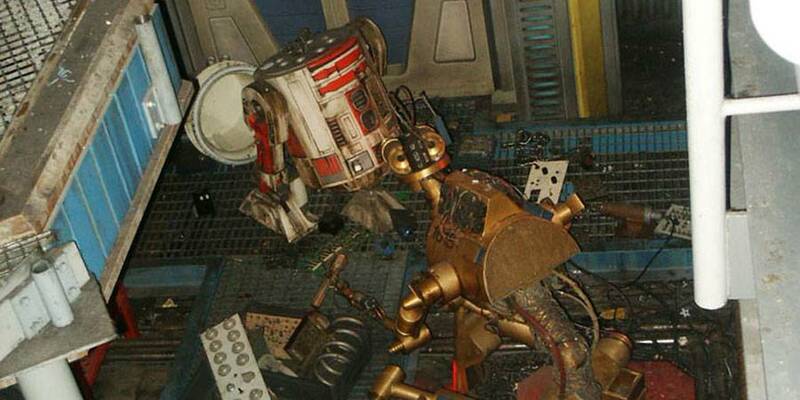 The R5 was Industrial Automaton’s first true astromech flop. The R5 was commissioned with no specific market or function in mind, and IA’s insistence on cutting corners left the model bereft of the R2’s “do anything” versatility. The company had created a new droid not because customers wanted one, but simply because they could. Dismal first-quarter sales figures were a bracing wake-up call to Industrial Automaton and a warning bell to the rest of the industry. One word described the R5: CHEAP. That simple word, however, was interpreted quite differently by dealers and consumers. The former pointed out that the R5 was the least-expensive astromech in the market-place; the latter responded that a shoddy, shabby, inferior droid like the R5 wasn’t worth half that price even on its best day. It didn’t help matters that the model’s behavioral circuitry matrix was prone to unwelcome glitches over time, causing many R5s to acquire caustic and disagreeable personalities. 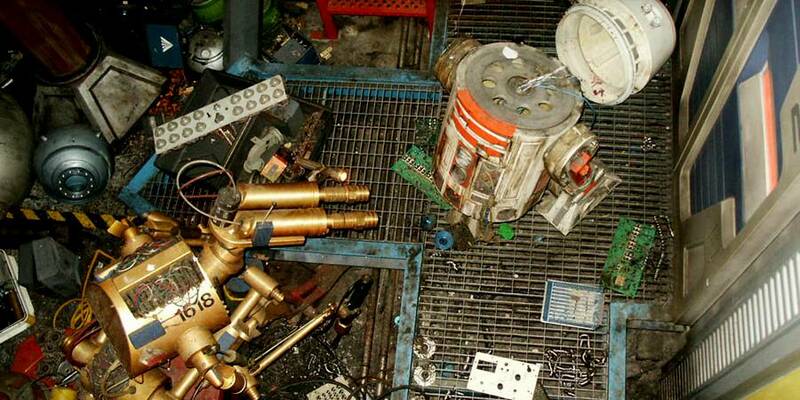 Buyers also reported problems with chronic overheating, jammed servos, loose bearings, and blown motivators. After a few lamentable sales seasons, each one worse than the last, IA quietly retired the R5 line. Like most other astromechs in the R-series, the R5 featured a heavy grasper arm with a 25-kilo lifting capacity and a fine manipulator arm with less than one-micrometer placement accuracy. It moved about on three wheeled legs and was outfitted with a holographic projector, arc welder, circular saw, and fire extinguisher. A row of three tiny photoreceptors and sensors replaced the large radar eye found on earlier models. While the droids could be purchased in bulk for next to nothing, their one-jump hyperspace capacity made them nearly useless as starfighter counterparts. Undaunted, the Rebel Alliance did some serious installing and reprogramming on their large stable of R5s. When they were finished, the modified units could hold six, seven, even ten sets of navigational coordinates in active memory. The R5 unit pictured above saw many, many years of duty in the service of Star Tours, until one day he not only blew a motivator, his entire dome assembly fell off. With the G2 droids working full time on burnout cases, WEG-1618 took it upon himself to tinker with the leftovers in his spare time, with mixed results.